When Tanzanian entrepreneur Emmanuel David (pictured above) set out to establish his crowdfunding platform recently, little did he know the frustration he was in for, causing him to lose a $15 000 investment from a potential investor. He now plans to leave his home country in favour of the more business friendly Kenya. His is a frustration nearly any startup that sets up in Tanzania can relate to. Registering his crowdfunding platform, Gatefunding, took months to conclude as David was shifted from pillar to post. Like this, he was forced to postpone the startup’s launch by a year. “As soon as they hear it’s all about donations and crowdfunding, they don’t want to understand,” a frustrated David told Ventureburn last month on the sidelines of the Seedstars Africa Summit in Dar es Salaam, Tanzania. With these delays, he said, he lost a potential investor who wanted to invest $15 000 in his startup. “The guy just gave up waiting. He would call me every day and it took so much time that he just decided to go,” said David. In the meantime he’s almost given up on Tanzania and is looking to take his company to neighouring Kenya, where he says it’s easier to run such platforms, given a more understanding and effective regulator. “I think I will just stick to Tanzania for the next six months, maybe try to raise about $100 000 then move to Kenya,” he said. David is not the only frustrated startup founder. Simplesan founder and MD Said Kamotta, whose startup supplies corporates and factories with hygiene equipment and cleaning systems, bemoans that the government keeps introducing new legislation, adding to the country’s already complex existing regulations. “For each part of the business you need a different permit and a license. You just don’t need to have one business license, you need to have different permits depending on what you’re doing” explained Kamotta. Kamotta said that the cost of compliance is “a big hindrance” holding back Tanzanian entrepreneurs. World Bank data backs up Kamotta’s assertion that government regulation has increased over the last three years. From 2016 to 2018, Tanzania’s standing in the Ease of Doing Business index — which ranks countries against each other based on how the regulatory environment is conducive to business operations and stronger protections of property rights — has deteriorated from 132 out of 190 countries in 190 economies to 144 out of 190 economies in 2018. (see graph below). In contrast, this year, Tanzania’s regional neighbours Kenya, Uganda and Rwanda were placed 61, 127 and 29, respectively. Last November, the then Minister for Industry, Trade and Investment Charles Mwijage told Tanzanian publication The Citizen that the country’s ranking had dropped because of various “procedural checks” instituted to reduce “malpractices” in the business sector. For entrepreneur Justa Lujwangana — whose five-year old experiential travel startup Curious on Tanzania connects travellers to local experiences — the key problem is that the government fails to differentiate between ordinary corporate businesses and startups. “So, it becomes a little bit challenging for a person who has come up with a brilliant idea to be able to express that and get it registered,” says Lujwangana. On top of this it is not uncommon to have to pay a bribe to get access to a business license, she says. This is made worse by a shortage of information to guide entrepreneurs on what’s required. “There is a lot of misleading information in between. It’s things that could easily be adjusted and fixed, but it is limiting because someone — just because they don’t like you — may not let you get the proper business licenses,” she says. While many countries grant startups tax breaks, this is not the case in Tanzania. The country’s corporate tax rate is currently pegged at 30%. Bongo Live founder and CEO Taha Jiwaji agrees. “The tax rate is very high — it’s 30% for corporate tax — and if you add up all the employment taxes, the VAT, exercise duties and everything put together then I think overall it’s a heavy tax burden on young companies,” he says. Jiwaji — who is also a co-founder of Kinu Hub — one of Tanzania’s first private tech hubs — believes the solution is for the government to “get out of the way” of private companies. “We need to have more light-touch programmes. If we can say the government leaves startups alone for five years, hands down I would say go for it, because right now the burden of compliance is just very high,” he says. But there is hope. A number of startups and entrepreneurs together with international partners, are in the last stages of getting a draft together for Tanzania’s first startup bill. Hub255 founder Jones Mrusha (who is also a co-founder of Kinu Hub) said while the bill is “not official yet”, both members of the opposition and ruling party say they support it. He explained that the group will try get the bill introduced to parliament as part of the government’s youth agenda, given that 2020 is an election year. 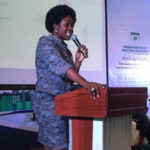 Ventureburn sought comment from Tanzania’s Ministry of Industry, Trade and Investment — which oversees small businesses in the country — as well as from the head of section business licences and director of licences at the Business Registration and Licensing Agency (Brela) who had not responded at the time of publication. There is a glimmer of hope that just maybe, things may get a little easier for Tanzanian tech startups. *Ventureburn editor Stephen Timm also assisted in writing this story. 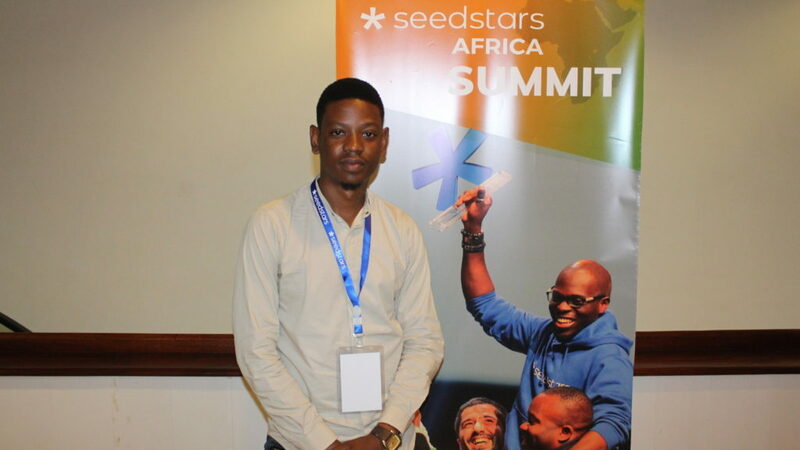 Daniel Mpala was a guest of Seedstars at its Seedstars Africa Summit in Dar es Salaam, Tanzania. Venturburn is a Seedstars media partner.